2012 was a huge year for comic book movies. Sure, Ghost Rider: Spirit of Vengeance is a title we'll probably soon forget (if most of us haven't already), but it's hard not to appreciate the fact that we got The Avengers, The Dark Knight Rises, The Amazing Spider-Man and Dredd 3D all within a few months of each other. But while last year may be hard to top, the truth is that 2013 has some pretty big heavy hitters of its own. 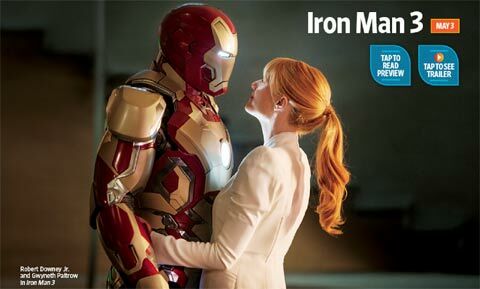 We have to wait until November for Thor: The Dark World, but summer is peppered with hotly anticipated titles like Iron Man 3, Man of Steel and The Wolverine. And today we get brand new looks at all three. 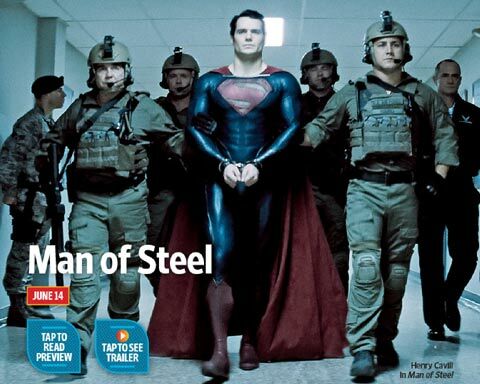 Next there's a new still from Zack Snyder's Man of Steel (hitting theaters June 14th(. You may actually recognize this picture, as it was the basis for the movie's theatrical poster. And finally we have James Mangold's The Wolverine (slashing its way to theaters on July 26th). This is actually the first image that isn't at least partially obscured by shadows, so cherish it! So which one of these are you looking forward to most in 2013? Let us know in the comments section below!